Guide Armado safely through dangerous terrains and save the Great Eagles from the terrifying army of invading ants! 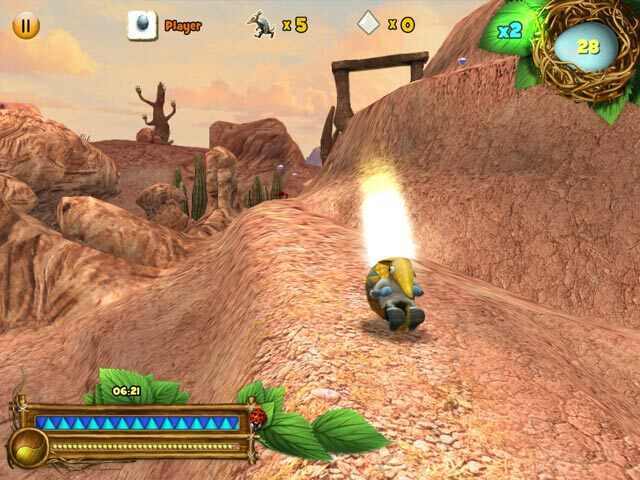 Navigate Armado though 14 challenging levels. 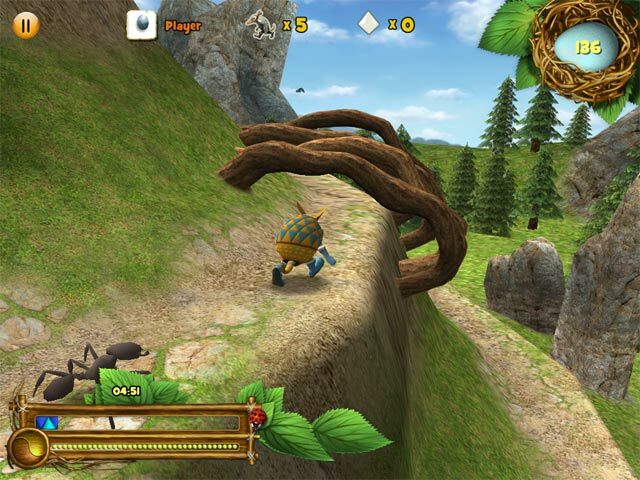 He must run, roll and stomp his way to the top of each hill and place a magical egg in each nest. After accomplishing this, he must rush back down the hill before time runs out on the clock. Along the way, Armado will pick up power-ups that will help him accomplish these goals. This entry was posted on Friday, June 21st, 2013 at 12:00 am	and is filed under Arcade & Action, Arcade & Action. You can follow any responses to this entry through the RSS 2.0 feed. Both comments and pings are currently closed.